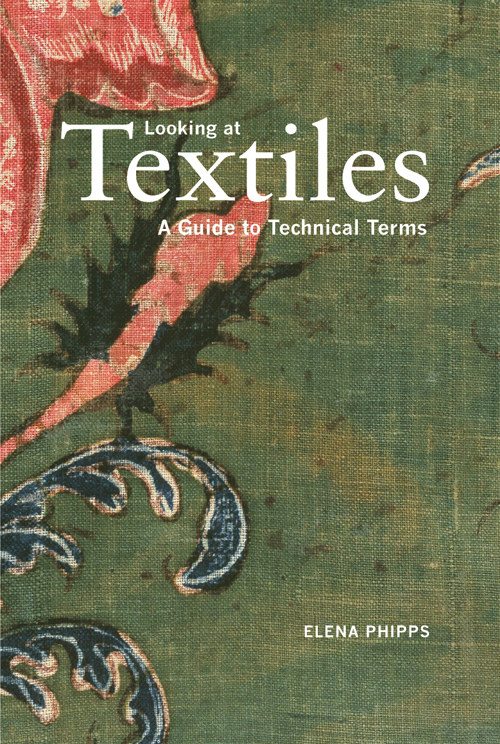 In addition to serving as a textile conservator with the Met for thirty-four years, Phipps is currently Vice-President of the Textile Society of America, and President-elect (2012–2014). Her de Young visit ties in with an exhibition we talked about a while back, The Art of the Anatolian Kilim on view through June 10, 2012. And thanks to my friends over at Enfilade, I know that a new title by Phipps, Looking at Textiles, is due out in January 2012. 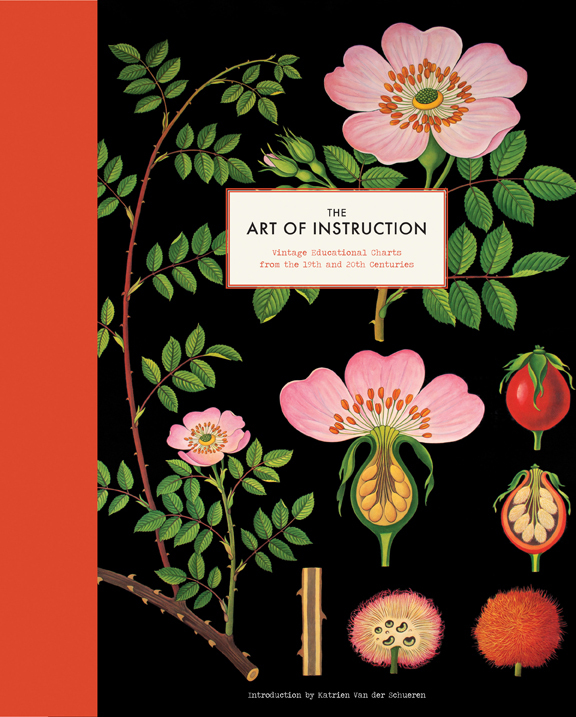 The visual and technical also intersect in Katrien Van der Schueren's book, The Art of Instruction. Truth be told, I believe I first heard about this edition during the summer but it was when I spied the vivid orange spine and lush cover botanical poking out of a new display in the art book department at Sam Flax that my curiosity was really sparked. 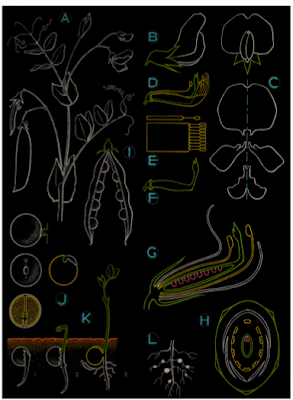 Maybe a century ago, some kids in a European classroom responded in a similar way to the original full-blown botany wall chart. As many of you know, Van der Schueren owns voila! gallery in L. A. 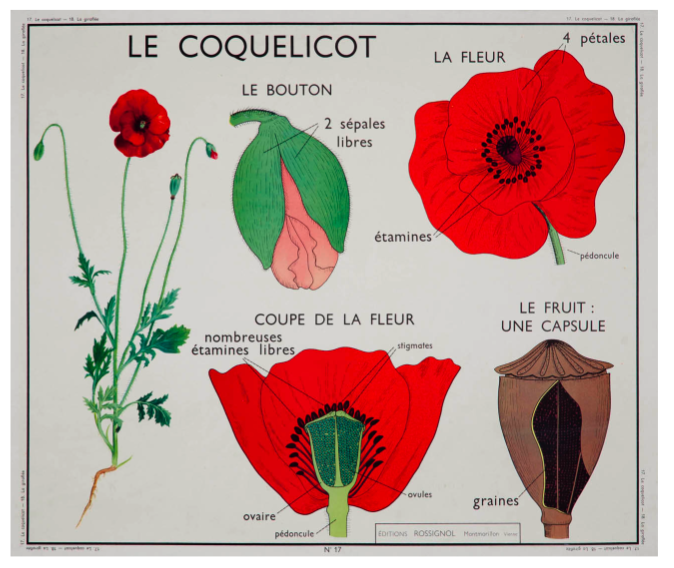 She' s been collecting large-scale antique and vintage educational wall charts from the 19th and 20th centuries for more than ten years. It's a fascinating genre because, while the brilliantly colored, highly detailed charts were carefully rendered and integral to classroom instruction, they were rarely catalogued by schools or the companies that produced them. The charts were most prevalent in elementary and high schools and in universities between 1870 and 1920. During this time, class size was large enough that passing actual specimens or loose engravings from student to student was impractical but well-illustrated individual text books were not available either. Van der Schueren says the botanical and anatomical charts were graphically designed so that each student -- even one in the very back row -- could easily see them. 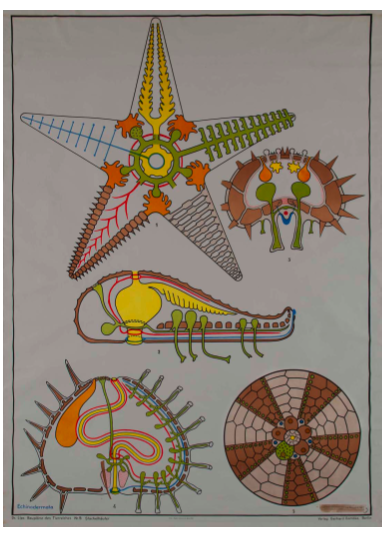 In fact, the charts were thought of as works of art, enriching a child's surroundings, as well as scientific tools. 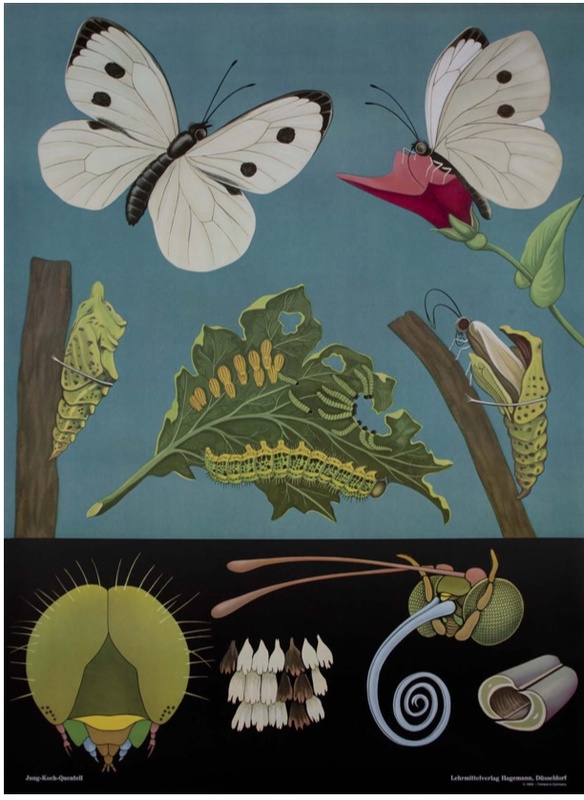 At the beginning of her book, she offers a concise overview of the artists and companies behind these posters; the remainder of the volume is devoted to striking reproductions, organized in two categories: Botany and Zoology. The big appendix is helpful, too, serving to identify what we see in the illustrated charts. 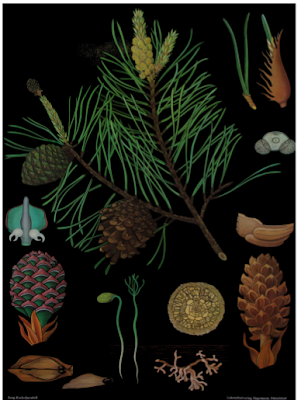 With the multitude of intrinsic patterns found in nature, textile designers will find much to inspire. Courtney Cochineal red was mentioned briefly in my even briefer study in design, but what was always emphasised was "there must be a spot of red in every room, even if it is just a dot!" I've never forgotten the words though I must admit I don't use red often in decor, except in paintings. Tina -- so cool that you mention this. A few years ago, here, we had a little debate about who really first advised the spot of red in every room. At one time I thought it was Sister Parish but Jane Hess found evidence that it was Lady Juliet Duff. Something red, something shabby :) Regardless, great advice! Jacqueline, I love how books allow us to imagine for ourselves what something looks like. Generous of you to stop and take time to share such a personal memory-- thanks for letting us know about the book too. 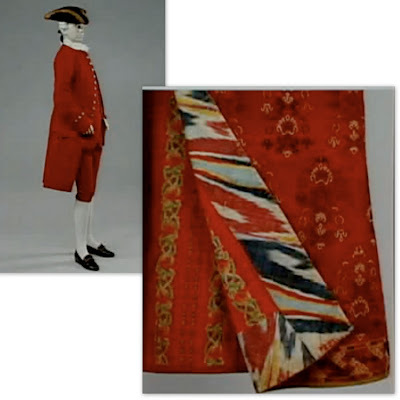 Courtney — can't remember if you ever mentioned them but there are a pair of older books by Gosta Sandberg called "Indigo Textiles" and "The Red Dyes: Cochineal, Madder and Murex Purple." Lark is the publisher. Also one of our local shops used the Swiss Army blankets to recover long upholstered benches but we bought the blanket instead. They typically have a number or some kind of Id tag on one corner. Linda -- I'm off to check my archives for Sandberg. Would love to visit that shop! Running with Scissors: Beatrice Coron et al.